Ilder Gudiel Garcia will be the most excited freshman on the Annandale campus at Northern Virginia Community College when fall semester starts. 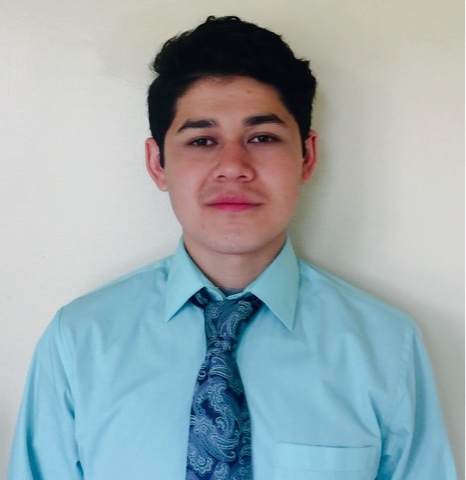 Through TheDream.US scholarship, Ilder is getting the chance to earn an Associate’s degree before transferring to George Mason University to earn his Bachelor’s in Health Administration. His ultimate goal is to work in a hospital as a healthcare administrator. “I’ve always been into health stuff, but also business. That’s what I’m passionate about,” he says. But how did this dream start? Ilder was separated from his entire family at age five. 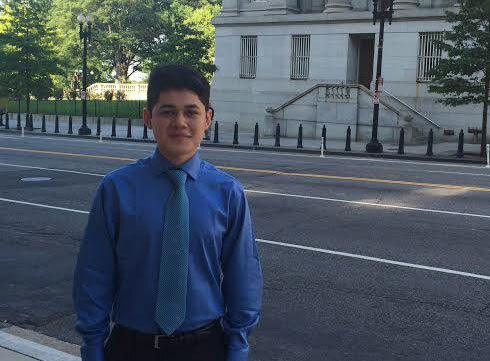 His parents and siblings left their native Guatemala in search of better opportunities in the United States. “We were a poor family, and my parents wanted me [and my siblings] to have a better future,” he explains. Ilder stayed behind with an aunt in their small village for two years, and was finally able to reunite with his family in Virginia at age seven. At Falls Church High School, he kept his status a secret in fear of being made fun of, but he was friends with other DREAMers without knowing. “A month ago, I found out that one of my friends is a DREAMer just like me. When we were signing up for classes at NOVA, she went to my pathways counselor and she said, “What do I do if I have DACA? How do I change my out-of-state tuition to in-state tuition?” And that’s when I knew she was a DREAMer just like me. And she never told me, just like I never told her, either,” he says. His advice to other DREAMers is simple: put yourself first. There’s no way everyone in the world [is] going to like you or believe in your ideas; all you have to do is believe in your own self and do what makes you happy… There’s always going to be people who will judge you for anything you do…[but] it will make you stronger to do what you believe in and what you want to do,” he says. Read more about the event: http://1.usa.gov/1JK58Ag.